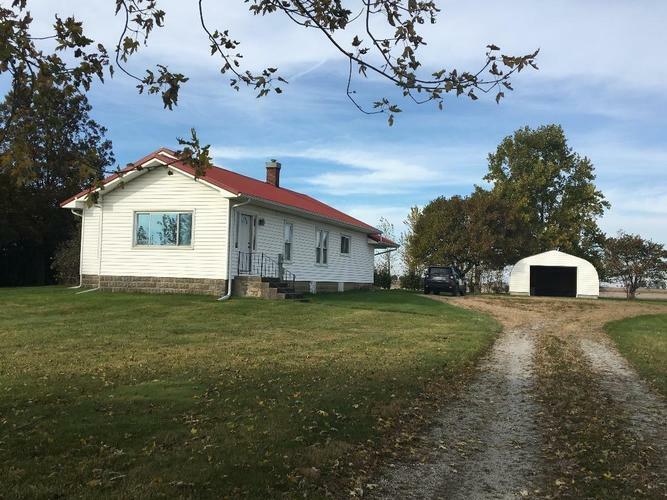 Great 2 bedroom ranch home in the country. Lots of updates including Kitchen, bathroom, drywall, furnace & AC, hot water heater, Plumbing, wiring, lighting, flooring and new metal roof. Home is bright and open with large living room and dining room, lots of windows, 9' ceilings and flows nicely. 1.5 car detached garage. Homes sets east of Rensselaer 1 mile south of SR 114 on tree lined 1.363 acres. Directions:SR 114 east to Old Hanging Grove School/320 E south to first road/600S east 1/2 mile to home.